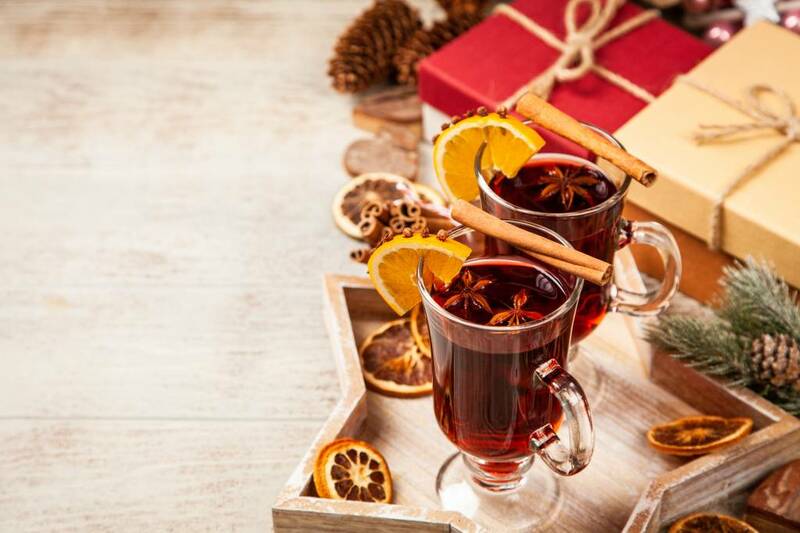 Whether you're looking for something to warm you up as you relax at the end of the day or you need a cheery cocktail to serve at your parties, these five drink ideas are sure to help you celebrate while fighting off the chills. Is there any better pairing than wine and chocolate? Especially with valentine's looming around the corner, you can't beat a hot chocolate recipe that includes a voluptuous red wine. Whether you've got someone to share it with or just want to Netflix and chill with your cat, this decadent drink will put you in a loving mood. There's just something about the thought of a nice mulled wine that fills you with cheer. The mention of it seems to bring forth a reminiscence of cozy firesides and friends gathered together. Fragrant spices as they simmers will fill any home with the scents of comfort. Garnish with a cinnamon stick and a twist of orange and you have yourself a beautiful classic cocktail fit for a party. Hot Toddy's are another signature winter drink full of warming spices. This whiskey or bourbon based concoction packs a little more heat than the wine bases, with the lemon and optional tea, it may be just the kick start you need to beat cabin fever on those long frost bitten nights. A Hot Apple Pie Cocktail is a delicious twist on bourbon, this drink is sweet, smooth, and tastes like a freshly baked pastry. With all the components to make you feel like a regular mixologist, a batch of these is sure to impress any dinner party guest and put the whipped cream topping on your holiday nights. Sangria, the sound of it may put you in mind of warm sunny beaches but this winter version is sure to liven up any party that's gone cold. With red wine, brandy, and the fresh flavor of wintry fruits it's the perfect drink for any get together. Sangria is also a great drink to make ahead or in any quantity, let it chill in the fridge to have on hand for unexpected guests or easily make a big batch the night before your party.